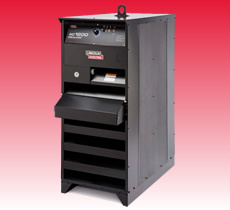 Rugged construction, simple controls and a 100% duty cycle output rating make these machines a sound investment for heavy duty shop applications. Add the outstanding traditional SCR rectifier arc action delivering high quality, attractive welds and your operators will agree – it’s hard to go wrong with an Idealarc® DC600. 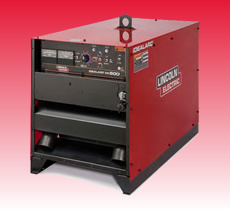 The Idealarc® AC1200 submerged arc power source is specifically designed for operation with Lincoln Electric’s NA-4 automatic wire feeder. It is a power source that you can count on day-in and day-out to provide proven performance.